The Smith Micro Animation Software Bundle holds the tools you need to get your start as an animator. Animation is a unique skill, and one that enables you to make incredible visual creations. The Smith Micro Animation Software Bundle has the tools you need to bring your art to life, and you can get it on sale for just $30 (approx. £25). In the Smith Micro Animation Software Bundle, you'll score three tools trusted by professionals but great for beginners. 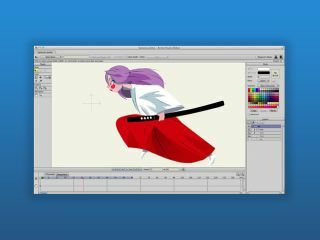 Everything you could want to do with computer-aided animation is possible with the help of programs like 3D animation app Poser Debut, the cartoon crafting Anime Studio Debut 11, and StuffIt Deluxe to manage the massive files that animation projects often produce. The Smith Micro Animation Software Bundle is valued at $139.98, but you can save a whopping 78% off the retail price. That means you’ll pay just $30 (approx. £25) for this bundle that could send you down a new career path!